Actress. Most remembered for her role of Susan Walker in "Miracle on 34th Street" (1947), a Christmas classic movie. She appeared in over 56 movies for the silver screen and television, and was nominated three times for an Oscar (she never won). 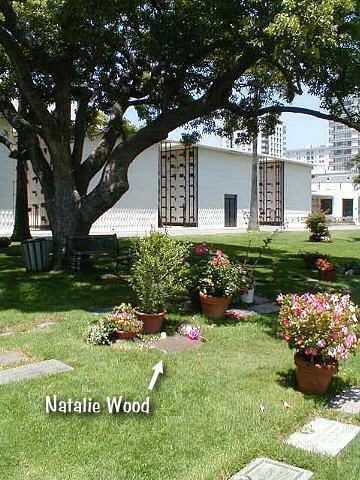 She was born Natalia Nikolaevna Zakharenko, of Russian emigrants in San Francisco, California. Natalie won a bit part at age 4 in a movie, "Happy Land" (1943), then being shot in her Santa Rosa neighborhood. The family then moved to Los Angeles, hoping to land more film roles for her, but her second role did not come until 1946, when she appeared in "Tomorrow is Forever." In 1947, she won the role of Susan Walker in "Miracle on 34th Street," and began a successful career as a child star, appearing in 18 films. In 1955, she played in "Rebel Without a Cause", the famous James Dean movie, and won an Academy Award nomination for best supporting actress. She played opposite John Wayne in "The Searchers" (1956) and in "Kings Go Forth" (1958). Roles continued to come to her. She appeared in "Splendor in the Grass" (1961), West Side Story (1961), as Gypsy Rose Lee in "Gypsy" (1962), and in "Love with a Proper Stranger" (1963), for which she earned her third academy award nomination. She had earned a second nomination for an academy award as best supporting actress for her role as Maria in "West Side Story." In 1966, the Harvard Lampoon voted her the year's worst actress, and she made Harvard history by appearing at the celebration to accept the award (she was the first person ever to appear in person to accept their award). 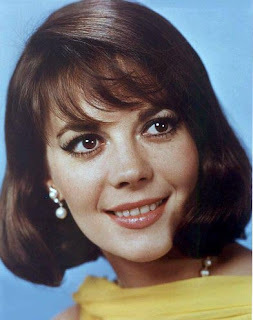 After filming "This Property is Condemned" (1966), she stayed away from films for 3 years, returning to play the role of Carol Sanders in "Bob and Carol and Ted and Alice" (1969). After that, she made a few appearances on television, but spent most of her time with her family. Her only major role until 1980 was in the television mini-series "From Here to Eternity." In 1981, she began work on "Brainstorm" (released in 1983), but she did not live to see it finished. A view of her actual resting place. 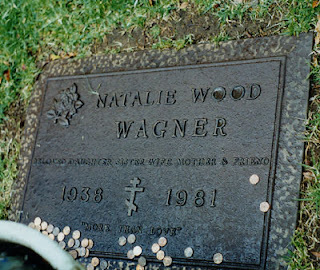 ****I thought of using Natalie Wood this weekend when the DH and I were watching an NCIS marathon, and in which one show featured Robert Wagner [Natalie Wood's first and third husband] as Anthony Dinozo Sr. Natlie Wood was one of my favorite actresses as a teen. I usually spend my weekends writing blog posts in advance for the coming week. So... I am suffering a "Madness Monday" moment today as I scramble to get my daily blog posts in order. Bear with me, dear readers, and I hope to be back on track tomorrow. I have been asked how I manage to keep all of my multiple lines of research separated. I have my families research... the Bean's, Dreher's, Banet's, Faudree's, Wickline's, Wiseman's, Benzel's, Eve's, Tuckwiller's, Parkins, etc. And then I have my husband's... the Henry's, the Rotge's, Clements, Hardin's, Pettie's, etc. Of course, in the software I use, there's no problem. But what about all of those loose files? The birth records, marriage records, death certificates, land grants, taxes, military discharges, and records? 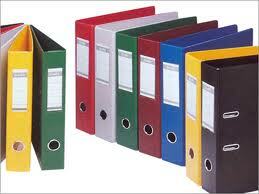 That is where the color file binders come into play. Each family has a different color. And each folder has the name of the family printed on the spine. I need only pull the correct folder from the bookcase and add the record to the correct family inside. How do you manage to keep all of the families organized that you are researching??? Place all ingredients in a heavy saucepan. Sauce will gel. Refrigerate until ready to serve. 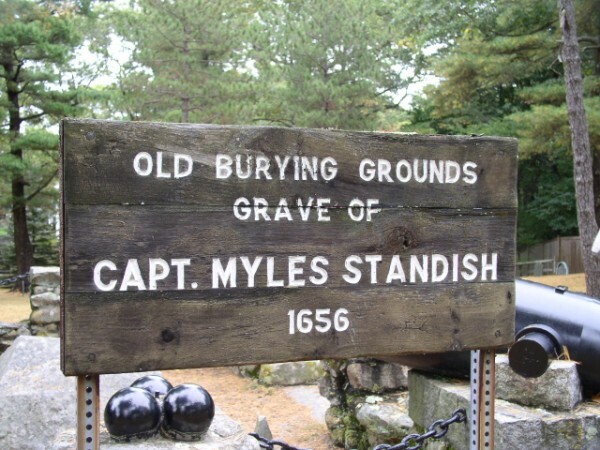 In honor of our upcoming Thanksgiving holiday, one can only imagine honoring Tombstone Tuesday with perhaps the most famous Pilgrim of all, Captain Myles Standish. He accompanied the Pilgrims as the commander of their militia, but was not a Pilgrim in the religious sense of the group. He is the subject of poet Henry Wadsworth Longfellow's epic "The Courtship of Miles Standish;" but the story is entirely fictitious. Born in Lancashire, England in 1584, he fought as a young man against the Spanish in the Netherlands, learning his military trade and developing his leadership. The Pilgrims, realizing that none of them really had any military skill, asked him to command and train the militia in their settlement in the new world, and he sailed with the original colonists. 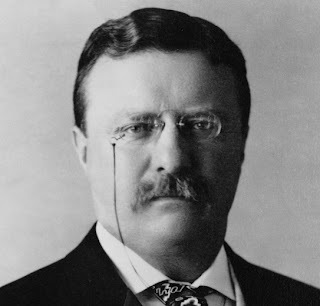 Short, stocky, with bright red hair and a florid complexion that would turn beet red when he was angry, he was "a little chimney too soon fired" as one of his detractors once stated. However, no one questioned his bravery, and his watchfulness over the colony probably saved it from destruction by Indians in its early years. 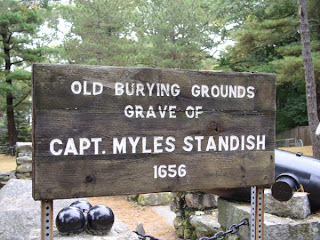 Once, he went with a handful of men to the village of a threatening Indian chief, Wituwamat, and although outnumbered by the braves, Standish suddenly turned on the chief and killed him, and brought his head back to Plymouth as a warning to other Indians to behave. In 1625, the Plymouth colonists sent him back to England to get more favorable agreements with the merchants who were financing the colony. As the plague was then ravishing London, he was unable to obtain any support, so he and some other leaders assumed the colony's debts. From 1624 to 1633 he served as the colony's assistant governor, and as its Treasurer from 1652 to 1655. 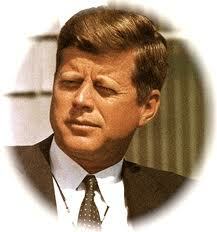 In 1632, he moved a few miles north of Plymouth to Duxbury, Massachusetts, and helped found the town there. 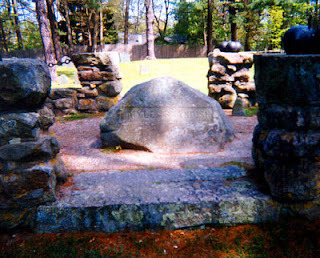 He died in Duxbury, Massachusetts in 1656 (bio by: Kit and Morgan Benson) "
It all started on Monday morning before Thanksgiving. Great-grandpa headed out into the woods with his gun held safely across his chest. He sat the gun on the far side of the old split rail fence before he crossed over it. Stepped carefully across the large rocks that lay in a somewhat-straight path across the old creek bed. And climbed the steep trail up the mountain where he'd heard gobbling off and on for the past couple of months. Coming into a thick, dense, brushy patch, he crouched low and waited. Sure enough, off in the distance he could hear the gobbling. Putting his open hand next to his mouth, ululating he mimicked the cry. He didn't have long to wait. Out strutted the old gobbler. He shouldered his gun and fired. That evening, he hung the turkey in the old barn by its feet. And on Tuesday, great-grandma cleaned it. Speed forward to Grandpa. He raised a gobbler every year. His deed wasn't performed until Tuesday morning, when he'd carry a sharp knife or axe, and head out to the chopping block with ol' Tom tucked under his arm. Poor ol' Tom sometimes acted like he knew what was about to happen! Grandma would hang Tom up by his feet, after the "beheading", and allow the blood to drain. Next day, on Wednesday, Grandma would pluck and clean the innards from the big bird. 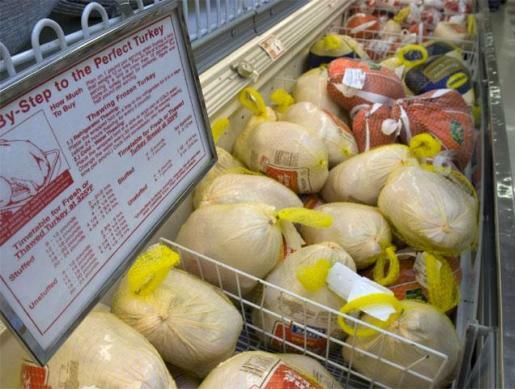 I head out to the local supermarket where I pick out the biggest frozen turkey in the freezer bins. On sale, I pay $1.10 a pound for the bird. So the average cost is $22 to $27.50 for the old Tom turkey. I simply place the turkey in my refrigerator to thaw out for a couple of days. Then pop it in the oven on the big day. 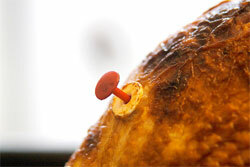 Why... there's even a built in thermometer to tell me when the meat has reached its ideal cooking temperature. The guesswork is all taken out of it! 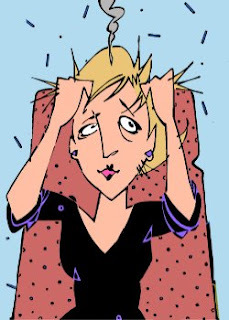 I simply don't know if I can handle the stress! It's just too much for me!!! Take me back to the good ol' days!!! This precious, and precocious, little tot is none other than my dear hubby! 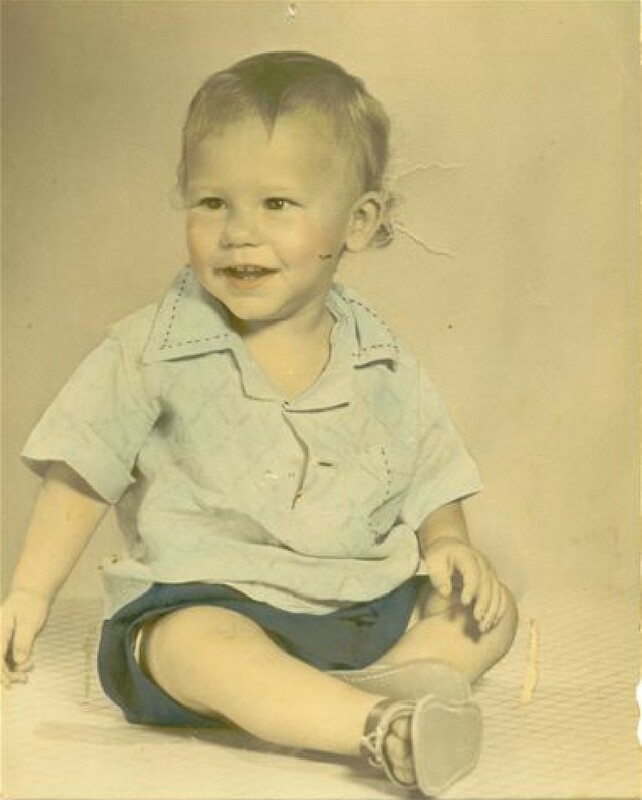 This photo was taken about 1951. Texican is the son of the late Joseph Wright Henry [1927-1993] and Betty Louise Rotge [1930-2003]. Saturday Night Genealogy Fun - "What Are You Thankful For?" "Hey Genea-Musings readers, it's Saturday Night (again) -- time for more Genealogy Fun (again!). 1) Make a list of Genealogy-oriented people or things that you are thankful for. Any number -- 1, 10, 100, whatever. 2) Tell us about it in your own blog post, in a comment on this post, or in a Facebook comment or Note. I feel like Thanksgiving is a time for reflection as well as looking forward, and being thankful for all. This year, I'd like to point out one individual who truly inspired me to study and work in genealogy, by bringing my own family history to light. Fannie Margaret Bell was born 14 Dec. 1920 in St. Albans, Kanawha, West Virginia to Romie Clair Bell and Ida Lilly Russell. On 22 Oct 1939 she married James Edward Beane [1914-1993]. James was my 3rd cousin. 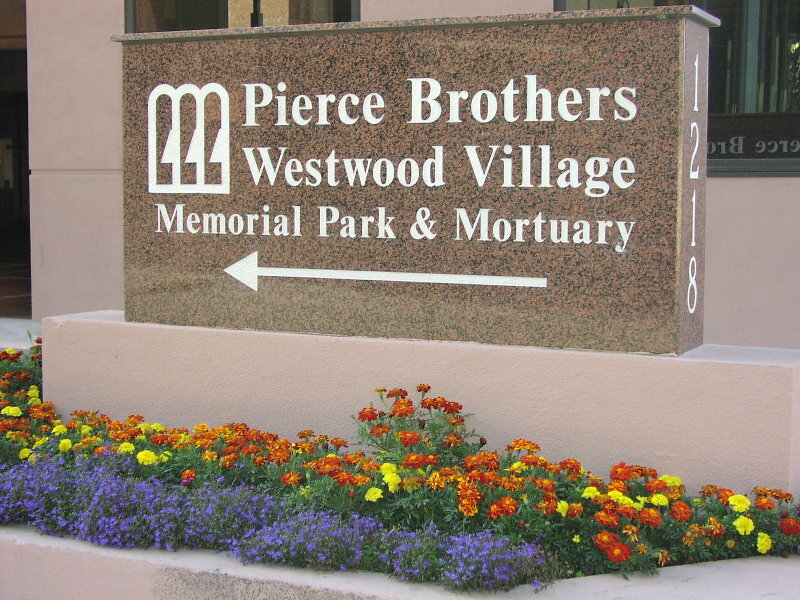 Fannie and James had two sons, Philip and Ron. James and Fannie worked diligently over the years to construct the Beane family history. They traveled extensively across the United States to gather and garner every scrap of information they could find. Years before the advent of the personal computer, Fannie's files on the family were considered legendary! In 2001 I got to meet Fannie face to face for the first time. This diminutive woman had already suffered a stroke and was in a wheelchair at that time. But she was so kind and gracious to me. And I immediately had a new hero! Fannie shared many long letters answering my multitudes of questions. And she gave me some of her treasured files when I got stuck. She was always there with her smiles and answers. And she gave me much, much encouragement, just when I needed it most. 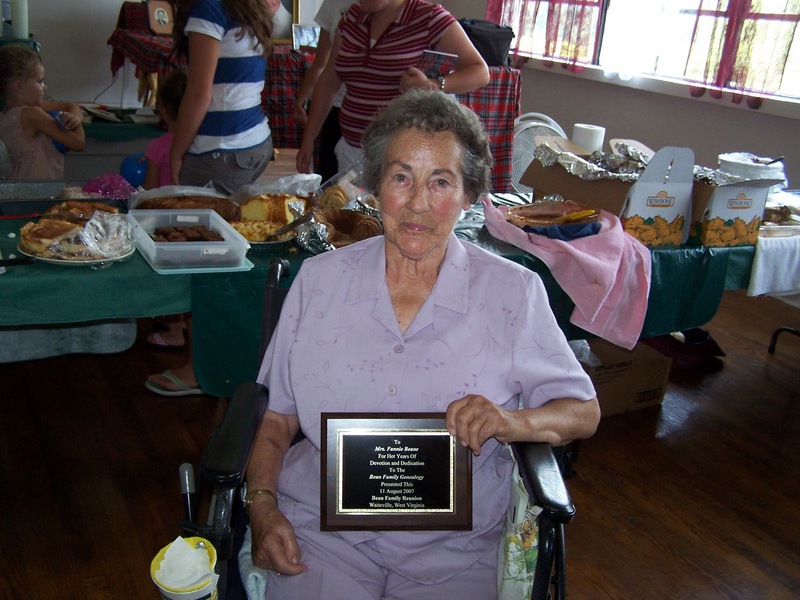 Sadly... we lost Fannie on the 16th of May this year. Fannie was truly an inspiration. She was my genealogy hero. And this Thanksgiving I will give thanks for all she gave to me and shared with me. A special candle will be lit in honor of her. Fannie, your light continues to shine brilliantly! And it will for generations to come! 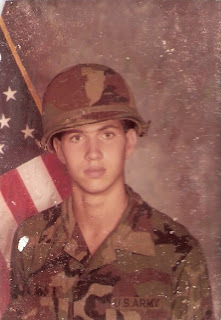 was born in San Antonio, Bexar Co, TX. 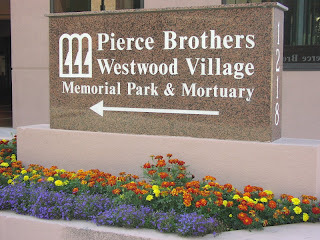 in Presidio of San Francisco, San Francisco, CA. of 6. Henry Condar DREHER Jr. and 7. Irene Caroline BANET. PARKINS. He married Mary Elizabeth Faudree. 1891 in Monroe County, West Virginia. She was the daughter of 18. 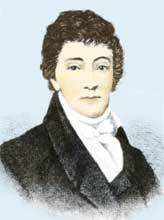 Samuel PARKINS and 19.
married Elizabeth TUCKWILLER on 15 Sep 1812 in Greenbrier County, Virginia. Mary was my ex-mother-in-law. Sadly, Mary passed away in 2002. But I will always remember the delicious biscuits that awaited anyone who visited Mary's home! 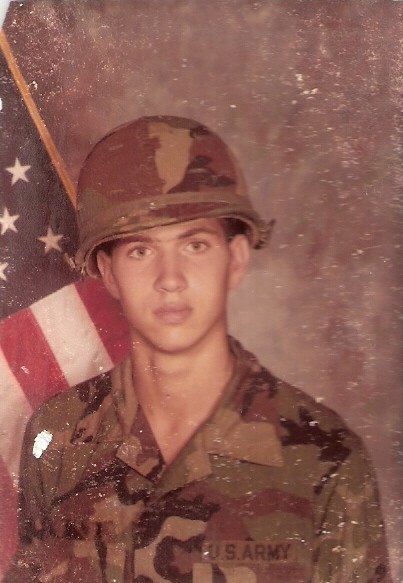 I lived in Germany from 1979 -1981, and didn't return back to the States in the entire time for a visit. So, when we were preparing to return, I wrote to Mary and asked her to please be sure and make me some biscuits when I got there! I missed them so badly! I even told her I didn't care if they were cold! When I arrived, Mary met me at the front door with a plate of cold biscuits! I grabbed one and was prepared to eat it... she laughed and told me it was a joke! She had brought me a plate of cold biscuits since I'd said I didn't care if they were cold! 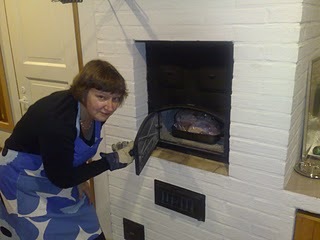 She then took me into the kitchen where she pulled a pan of just baked biscuits hot from her wood-fueled cookstove! The closest I ever came to Mary's biscuits is the recipe below. I've made it thousands of times over the years. And while it's never quite the same, I've come pretty close! To date.... no one ever complains! In a medium mixing bowl, cut lard into flour with a pastry cutter. Mixture will be grainy and appear like a cornmeal consistency. Make a well in the dough and pour the milk. Mix with your hands. Place dough onto a well-floured pastry board or counter and knead well. But do not knead beyond the point where dough is smooth and elastic or it will make the biscuits tough and dense. Roll out approximately 1/2-inch thick and place on cookie sheet. Brush biscuits with melted butter and allow to sit for 10-minutes. Place pan in oven on middle rack, and bake for approximately 10-minutes or until golden in color. We've all seem 'em. Most of us have even used 'em! 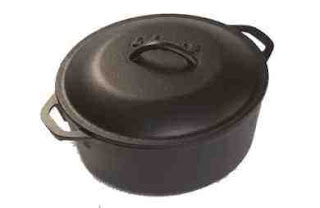 ...this is a new Dutch oven. Functional and versatile, this bad boy can go from stove top to oven in 0.01 seconds flat! Yep! Nothing to break, scratch, ding, or melt on this bad boy! But what was our grandparents, or great-grandparents cookware like when it came to the old Dutch oven? ...but what do we really know about it? 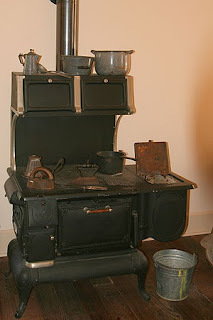 Well, when I think of my ancestors cooking, I think back even before there was a wood stoked kitchen stove. Back to when Great-Grandma learned to cook on at an open hearth. 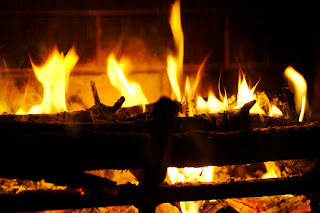 ...outside over an open fire. This would have prevented heating up the house on a hot summer's day. 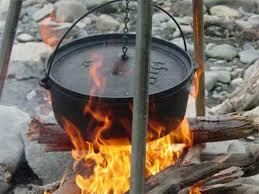 There's even a method of burying the Dutch oven in a pit of hot coals, and then covering the top with more hot coals. This makes a real oven effect. Great for roasting or baking! 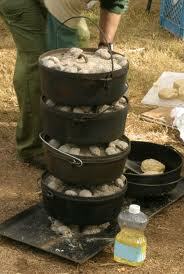 Those great little short legged Dutch ovens can be stacked! Yep, hot coals placed on each lid, and then stacked. In this manner, a person could cook an entire four course meal and time it just right so that everything would be done at the same time! Meat, veggies, bread, and dessert! If you're lucky enough to have one of your ancestors Dutch ovens, pans or pots, treasure it! 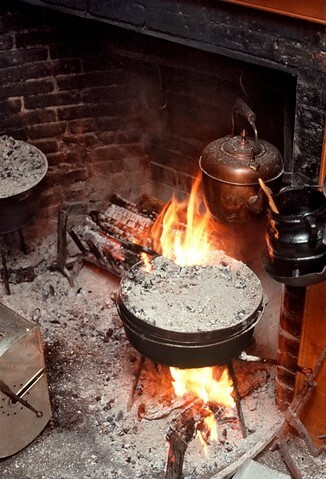 Cookware today simply is NOT made like it used to be! And nothing tastes as good as good home cooking done in a well seasoned cast iron pot! Dutch ovens just happen to be my favorite! My personal email account has been hijacked and until further notice any emails received by me are fraudlent! Do NOT OPEN!!! Lawyer, poet who penned the national anthem of the United States of America. 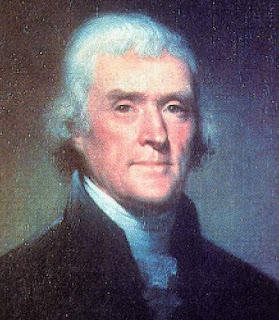 Born at Terra Rubra, his family's 1,865 acre plantation in Frederick County just north of Keymar which today is in Carroll County, Maryland, the son of judge John Ross Key and his wife Anne Phebe Penn Dagworthy Charlton. He went to St. John's School in Annapolis and then continued to study law with his uncle's firm there. He considered the ministry more than once in his life and became a leader in the Sunday school movement. His published works include The Power of Literature and Its Connection with Religion (1834) and the posthumous collection Poems (1857). By 1805 he had his own well established practice in Georgetown, a town of 5,000, just a few miles from the Capitol. The tranquility usually found here had been broken by the British attack and capture of Washington where they had set fire to both the Capitol and the White House, the flames of which could be seen forty miles away in Baltimore. While at war with France they were trying to keep control of world shipping and had entered the Chesapeake Bay both to interrupt trade and to prepare for an assault on Baltimore. 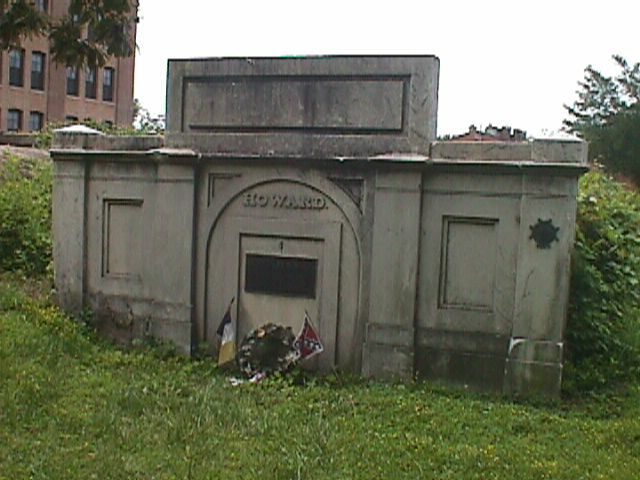 Learning that a much loved elderly physician of Upper Marlboro, Dr. William Beanes was hostage on the British flagship Tonnant, Key together with Col. John Skinner, an American agent for prisoner exchange, set sail on a sloop from Baltimore flying a flag of truce approved by President Madison. After much negotiation the release was arranged, but they had seen and heard too much of the preparations for the attack on Baltimore. They were forced to wait under guard behind the British fleet. It was from this position that after a long night of battle where they were assured by the ongoing shelling that Fort McHenry had not surrendered. Long before dawn there was a sudden and mysterious silence and waiting in the darkness that anxiety was finally broken when daylight came, the flag was still there! This led the amateur poet to write on the back of a letter in his pocket the lines that would become central to our national anthem. Later that same month the Baltimore Patriot published the completed verses under the title "Defence of Fort M'Henry" with the added note "Tune: Anacreon in Heaven." A Baltimore actor sang the new song in a public performance the next month as "The Star-spangled Banner" and it became a popular patriotic song. In 1931 Congress enacted legislation that made this the official national anthem. 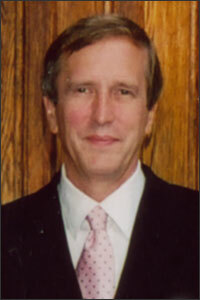 He was appointed the United States District Attorney and appeared many times before the Supreme Court. Married in 1802 to Mary Tayloe Lloyd, they had six sons and five daughters and continued to live in Georgetown until around 1833. 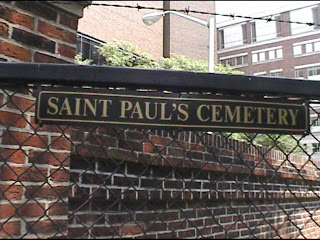 He died in Baltimore from pleurisy while visiting his daughter Elizabeth Howard and was first buried at Saint Paul's Cemetery there in, but was removed to his family's lot in Frederick in 1866. 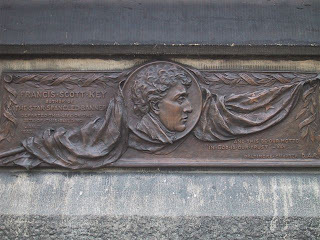 A plaque on the church where the Howard home once stoof, and where Key died. Located on the Northeast corner of Mount Vernon Place in Baltimore, Maryland. A close up of that same plaque in Baltimore. The Howard Family Crypt where Key was first interred. 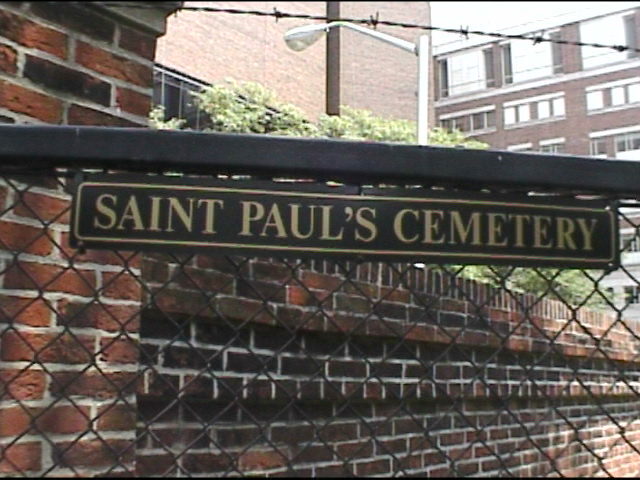 Saint Paul's Cemetery, wherein the Howard Family Crypt lies. 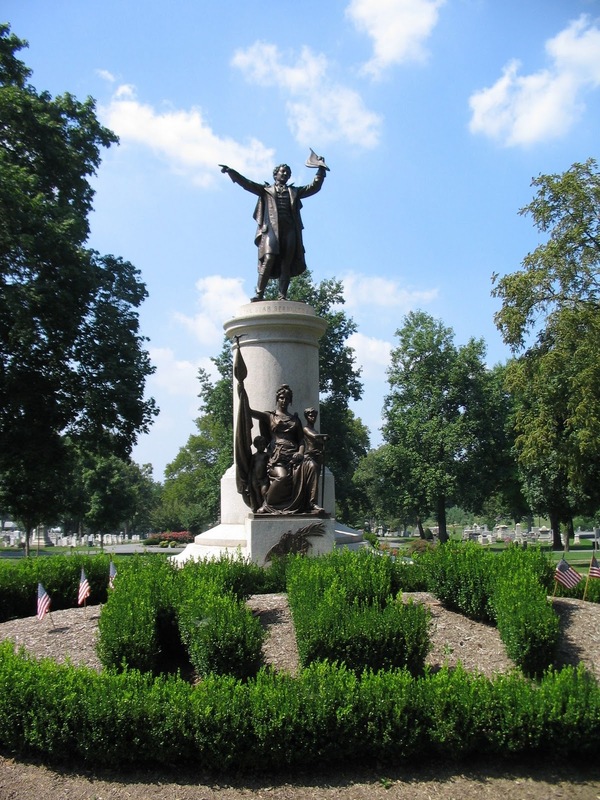 The statue, 15 feet high on a 10 foot base, was designed by Alexander Doyle, and was dedicated in 1898. Paid for by donations, with a subsidy from Maryland, it cost $25,000. 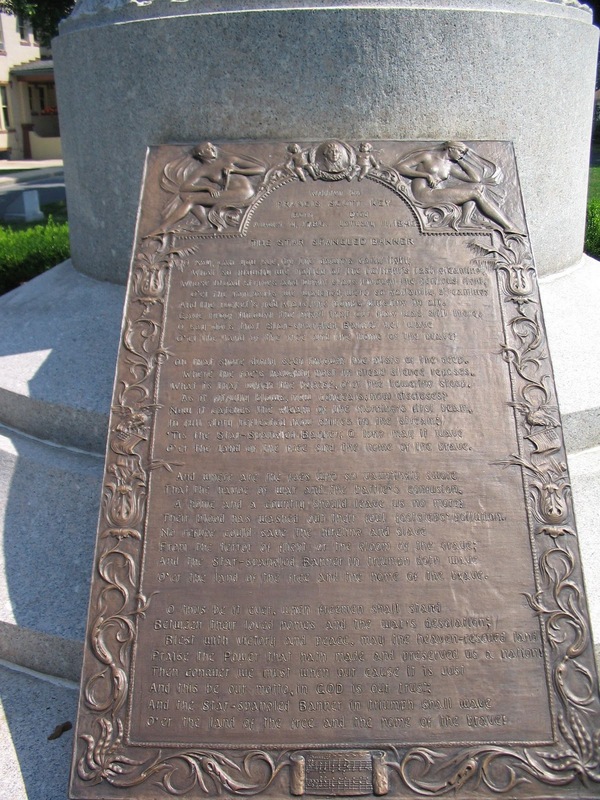 The monument was restored and rededicated in 1987. 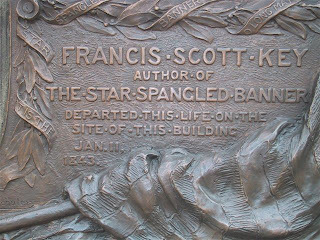 The plaque on the back of the monument displays Key's birth and death information as well as all four verses of the "Star Spangled Banner. It was an extremely heavy snow fall for our area, and it was cold. But not too cold. We drove up to the guest parking of the Greenbrier resort and I was allowed in the gate to take a photo of the main lodge. Frequented by twenty-six of our nation's President's. I live in the same quaint little town where this resort is located. So, it does hold fascination for the residents of our community, although most [if not all] could not afford a meal in any of it's dining facilities! 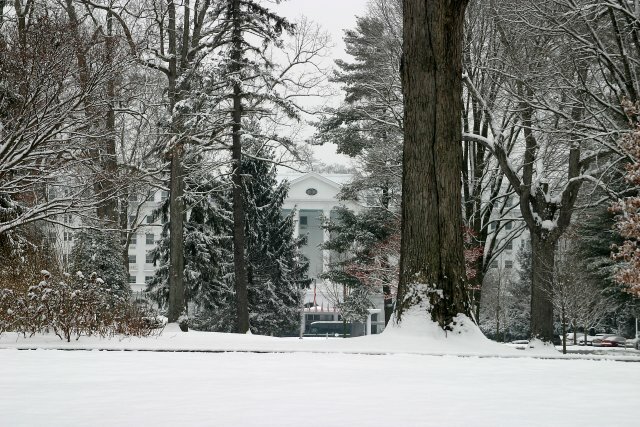 Still, it is a beautiful facility, and never as beautiful as when covered in a blanket of snow. Randy's at again, over at Genea-Musings. His latest challenge? "Attention, genea-philes -- it's Saturday Night, time for more Genealogy Fun ... again ... every week! 3) Show off your creations on your own blog, or on Facebook, or some other online photo location. " So... 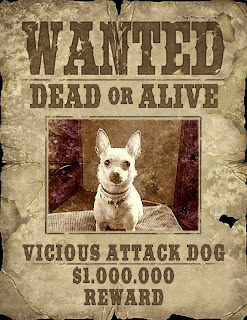 I came up with this little number using my puppy dogs photo. Chica is a five year old rescued Chihuahua. I suppose I have alot more patience with her than I've had with most pets in the past, simply because I know she was an abused puppy. 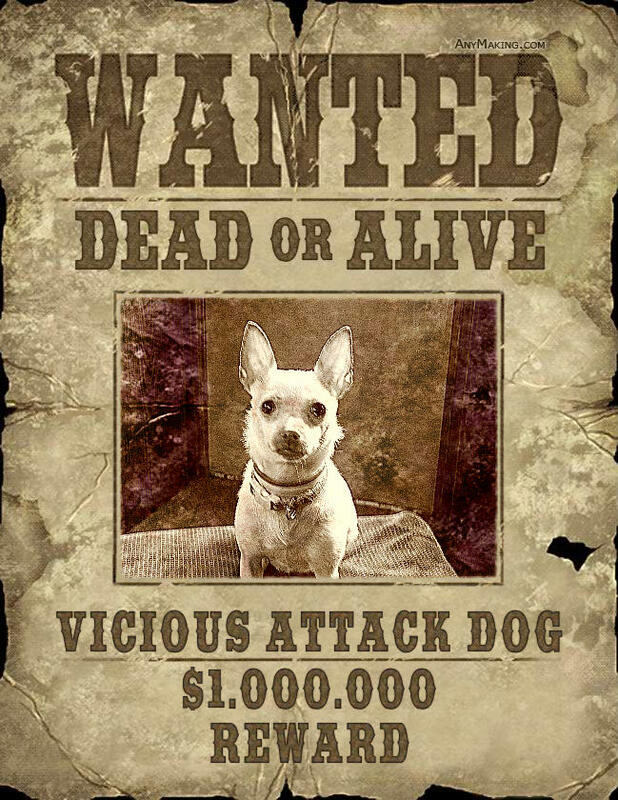 She is highly temperamental, and is prone to snipping, snapping and vicious growls. on 12 Dec 1958 in Presidio of San Francisco, San Francisco, CA. PERKINS. 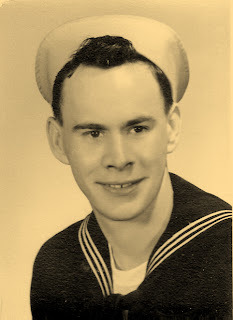 He married Mary Elizabeth FAUDREE on Nov 1935 in Clifton Forge, VA.
daughter of 66. James BANE and 67. Rebecca McDONALD. Medley. He married Rebecca McDONALD about 1751 in Augusta County, Virginia. on 21 May 1757 in Buffalo Creek, Augusta, Virginia. He was the son of 268. Bryan McDONALD Sr.
and 269. Jane DOYLE. He married Catherine P. ROBINSON. DONNELL II and 537. Mary Helena ARCHIBALD. He married Jane DOYLE. 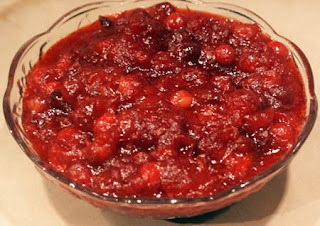 While this is not the traditional recipe most people think of as Copper Pennies, this is the one my mother made. It was a sweet treat to make little girls eat more carrots! 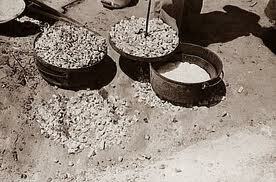 Mama used to tell us that if we ate "copper pennies" we could not only "see better... but you'll grow up rich!" Funny how little girls are influenced and remember those simple little things Mama's did! Here is my Mama's Copper Pennies! Heat 1 inch water to boiling in 3-quart saucepan. Add carrots and, if desired, 1/2 teaspoon salt. Cover and heat to boiling; reduce heat. Simmer covered 12 to 15 minutes or until carrots are tender. 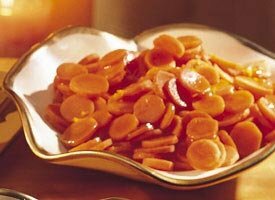 While carrots are cooking, heat brown sugar, butter, orange peel and 1/2 teaspoon salt in 10- or 12-inch skillet over medium heat, stirring constantly, until sugar is dissolved and mixture is bubbly. Be careful not to overcook or the mixture will taste scorched. Remove from heat. Drain carrots. Stir carrots into brown sugar mixture. Cook over low heat about 5 minutes, stirring occasionally and gently, until carrots are glazed and hot. the Society's web site has a current exhibit of Presidential campaign memorabilia online. You can view this collection by accessing the main web page here and using the site's search function, or access directly here. The collection is the more than twenty-five year efforts of Dr. Allen Frey and includes presidential ephemera all the way back to the buttons from the jacket that General George Washington wore during his inauguration.Currently the collection is not available for viewing of any kind, except online. 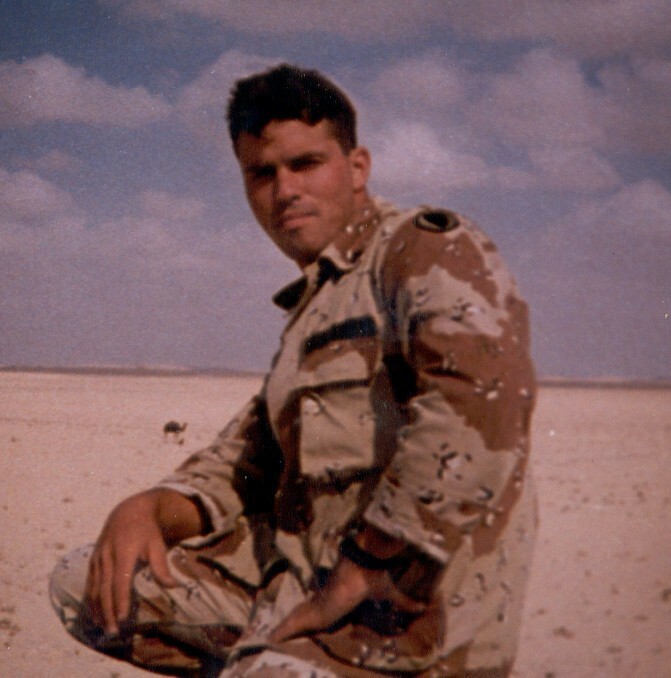 Today we remember all of our unsung hero's. The men and women of our armed forces. 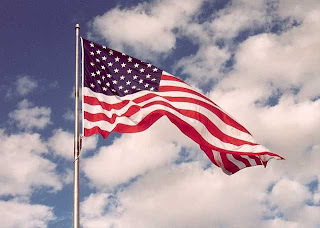 Those who have served in the past, and those who serve today. This is Texican. 1966. The U.S. Army. 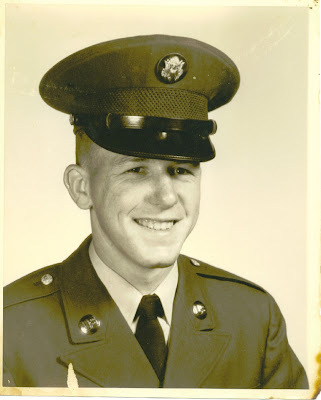 He served from 1966-1972. This very handsome fella is my Dad, Walter Beane. U.S. Navy. 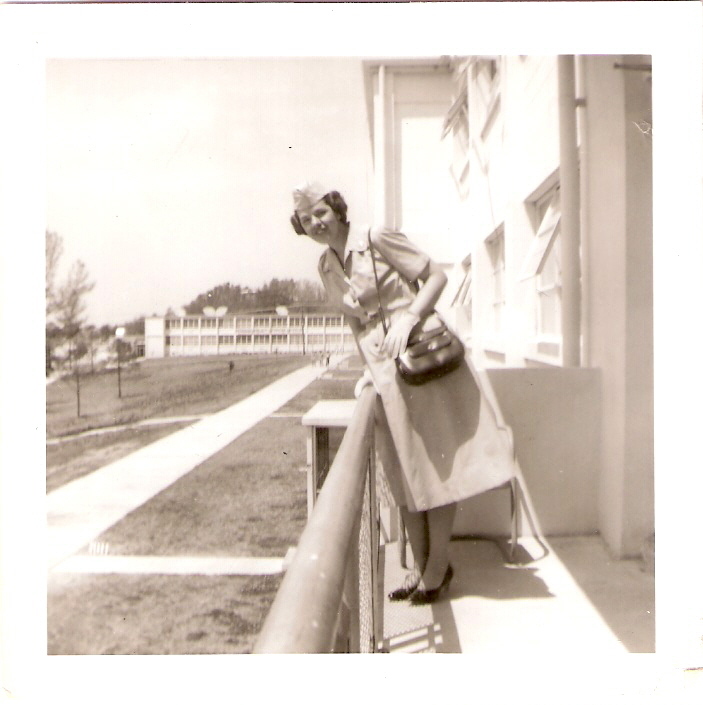 This lovely young woman is my Mother, Lois Dreher Beane.